Light Scent. 3 to 4 Feet. Late June / Early July flowering. Soft rose to bright pink blooms, depending on light intensity, with golden melon centers and just a smattering of dark colored speckles accent this strongly upfacing lily. 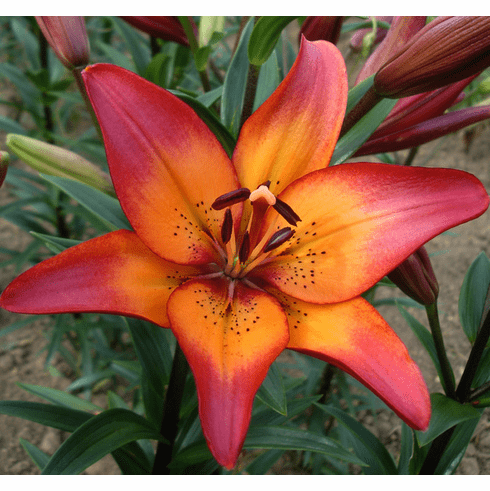 Though one of the first of the Easter Lily / Asiatic introductions, Royal Sunset is still one of the best. 3 to 4 Feet. June Flowering. Lightly scented.